What can I make at FabLab? How do I use FabLab? Home / Latest / Latest News / FabLab at the Nerve Centre joins forces with Libraries NI to help young people develop digital skills. 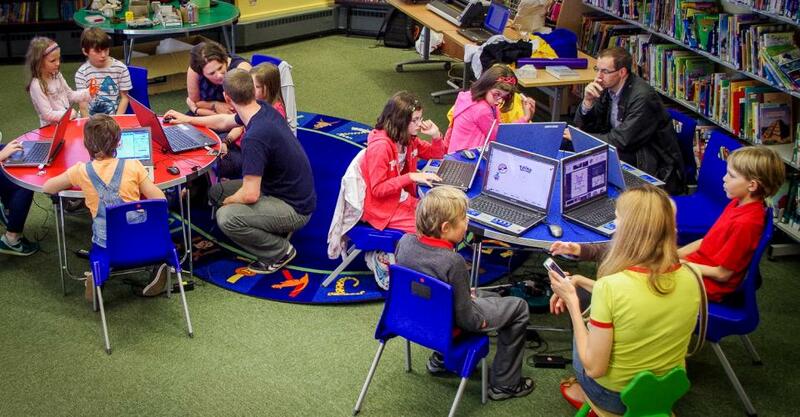 FabLab at the Nerve Centre joins forces with Libraries NI to help young people develop digital skills. FabLab at the Nerve Centre has taken to the road delivering free workshops in libraries throughout the North that enable young people to focus on creativity and develop their digital skills. 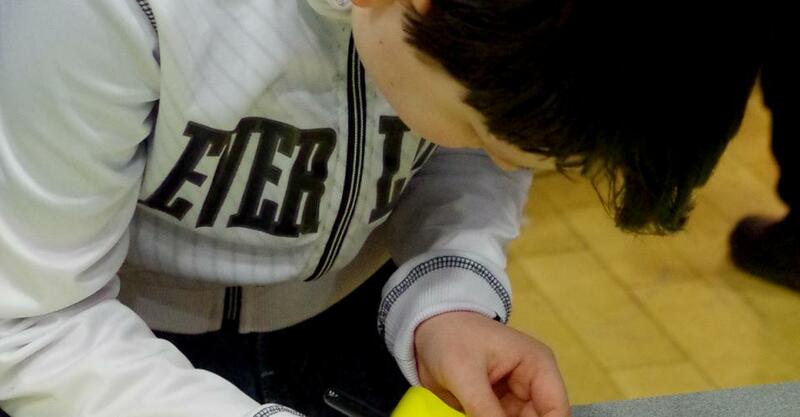 Funded by DCAL and SEUPB, FabLab has the ability to bring this learning to the communities and apply innovative learning in places that may not otherwise have this opportunity. So far the lab has carried out courses in Shantallow, Enniskillen and Strabane libraries with Strathfoyle, Creggan, Coleraine and Castlederg next on the list between now and next week. Each session involves the participants using existing library resources to identify texts and images related to their chosen subject. These artifacts are then combined within a design to make objects such as lamps and family crests. "Libraries NI is delighted to work along with staff from the Nerve Centre in this very exciting project. The project presents a great opportunity for children and young people to use library resources and develop their creative skills in a library setting." Are you interested in making things? Are you interested in making things? Are you excited by new technology? Fab Labs were born from an outreach project by Massachusetts Institute of Technology (MIT) in inner-city Boston in 2005. Since then Fab Labs have quickly spread around the world. Now there are over 200 Fab Labs from the inner cities of the USA to the villages of Africa.